We are finding that many customers today are savvy negotiators and they are tough to deal with. 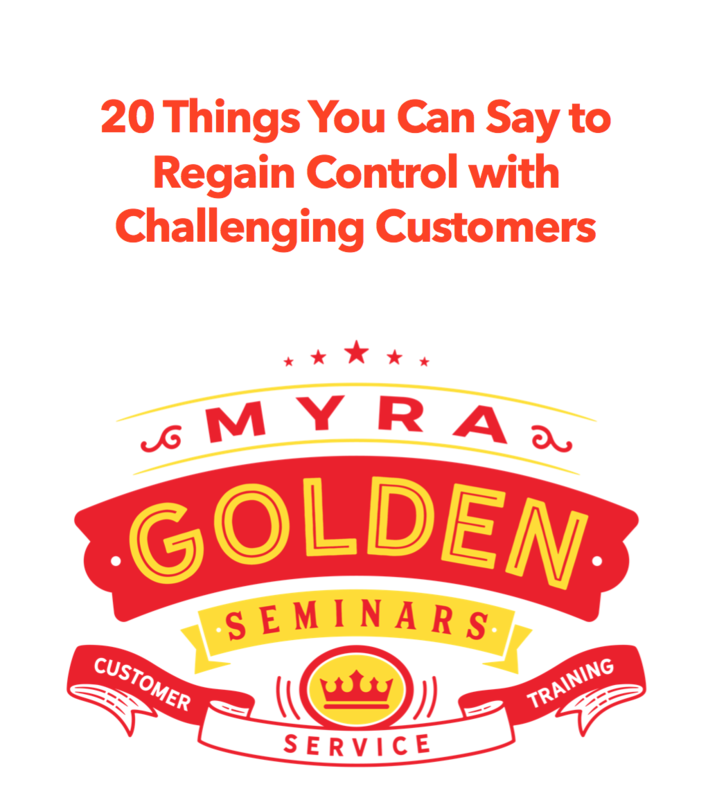 Do you have tips for how to negotiate with customers who are bent on taking the company to the bank? I remember a time when it wasn’t even necessary for customer service professionals to have negotiation skills. But we are living in different times. Today, customer service professionals must be astute negotiators, able to reach resolutions that balance the interests of the customer and the company. 1. Ensure the decision makes good business sense. All resolutions offered should not only retain the customer, but also be smart business decisions. For example, does it make good business sense to waive $125 in NSF charges for a bank customer with one personal account? Would it make good business sense if this were a customer who kept an average balance of $35,000 in the bank? 3. Know when to give in. USA Today carried a story that headlined, “Bank gets $2 million lesson.” It began when a customer tried to get his parking slip validated at a bank in Spokane, WA to save 60 cents. A receptionist refused, saying he hadn’t conducted a transaction. The customer asked to see the manager, who also refused to stamp the ticket. Appalled, the customer went to the bank’s corporate office vowing to withdraw his 2 million plus dollars unless the manager apologized. No call came. “So the next day I went over and the first amount I took out was 1 million dollars,” he says, “But if you have $100 or 1M,” he says, “I think they owe you the courtesy of stamping your parking ticket.” Breaking the “no stamp” rule here would have led to a loyal relationship with a high net worth customer. Part of negotiating is knowing when to give in. 4. Don’t let customers push you into a corner. Never agree to a resolution you’re uncomfortable with. Get comfortable with saying no when that’s the right answer. One of my favorite responses to upset customers when I’m up against a wall is, “We see this differently, and I am going to have to put more thought to the perspective you have shared with me. It’s helpful for me to understand how you see things. In the meantime, here is what I can do to solve the immediate problem.” Equip your team with negotiation skills and you’ll put less revenue at risk, keep more customers and build the esteem of your employees in the process. Next Next post: What’s the nicest way to give constructive feedback?